Richard J. McCain USA 1989. 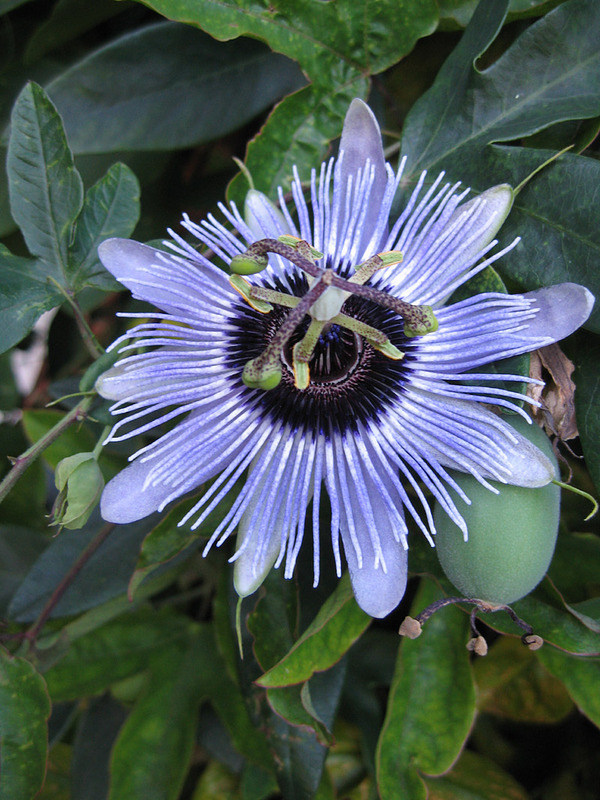 Passiflora ‘Blue Bouquet’ sometimes incorrectly called Passiflora ‘Blue Boutique’. 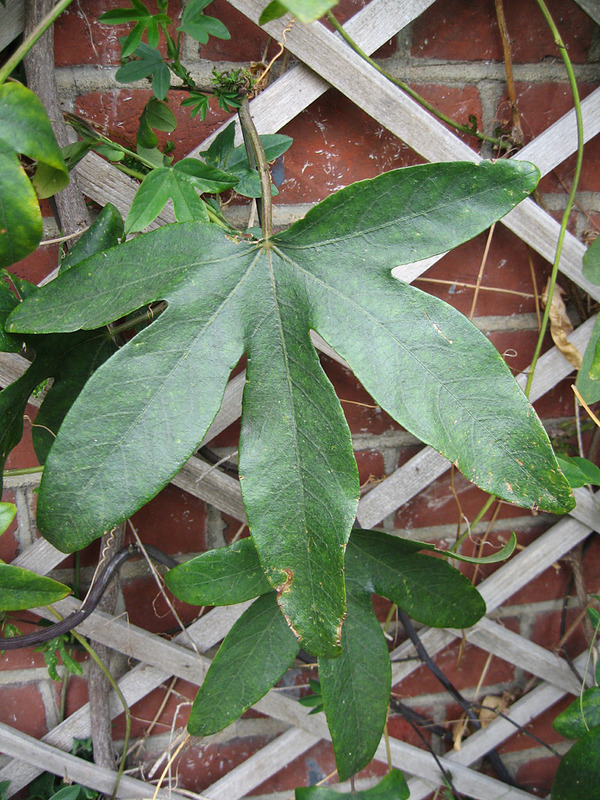 This is a massive free-flowering hardy plant with 5 lobed leaves up to 19cm long and 23cm wide as above. From the flower, Passiflora caerulea is definitely one of the parents but Passiflora ‘Lavender Lady’ is generally used these days as a synonym for ‘Passiflora ‘Amethyst’ and this looks more like a cross with Passiflora amethystina or one of its hybrids.